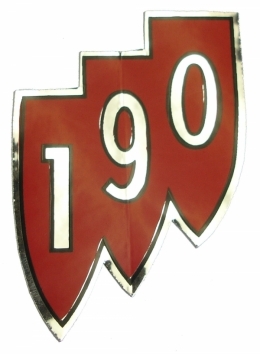 "190" shield air cleaner decal. Top quality GM licensed reproduction. Sold individually. MADE IN THE USA.